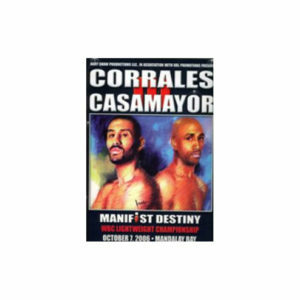 Cotto-Quintana Fight program from their welterweight championship fight on Dec 2, 2006. Cotto-Martinez fight program from the June 7, 2014 fight at Madison Square Garden in NY. 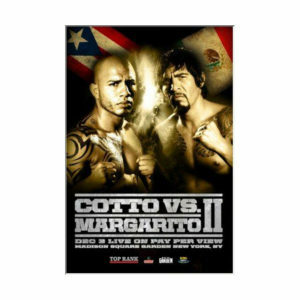 COTTO-MARGARITO Fight Program for the 12.03.11 fight at MSG. Cotto-Judah Fight program from the June 9th fight at Madison Square Garden. 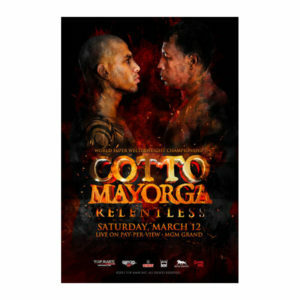 Cotto-Jennings Fight Program from their Feb. 21, 2009 fight at Madison Square Garden. 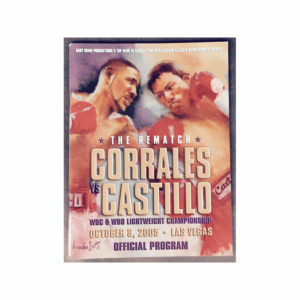 COTTO-FOREMAN FIGHT PROGRAM- June 5 2010 Inaugural fight program from the new Yankee Stadium. 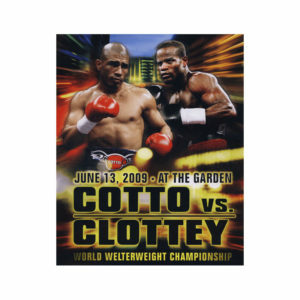 COTTO-CLOTTEY Fight Program from the June 13, 2009 fight at Madison Square Garden.